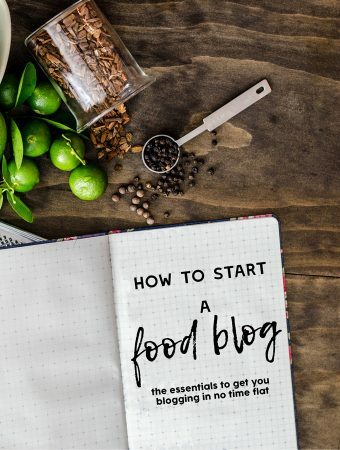 Are you looking to start a blog or website? Writing and photographing food this blog has been one of my proudest achievements to date – right up there with being on MasterChef. I get so much joy out of cooking for family and friends, so being able to share my recipes with them was a very logical next step. The most time consuming part of starting this blog was the technical side of things. 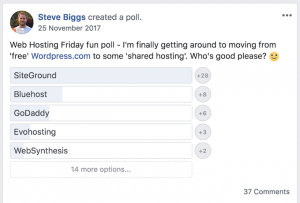 I researched all the various options – self-hosted vs WordPress, hosting providers, themes – the actual research that it took to build a blog took up a lot of the time and energy I should have put into writing content. As this blog’s readership has grown over the years, there’s a lot I’ve learnt through the process – things I wish I’d known and step-by-steps I wish someone had written. 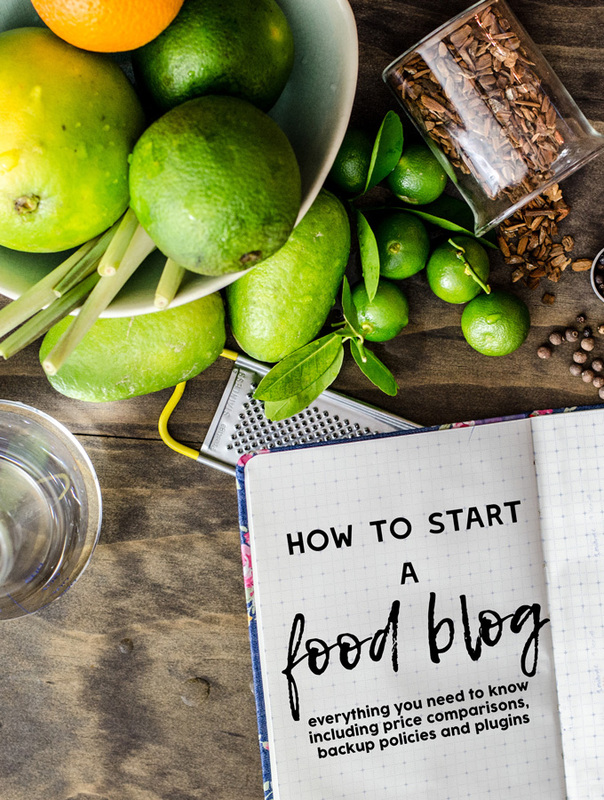 If you’re looking to start a blog or website (not just a food blog) here’s a list of all the stuff I wish I had done early on. The shorter step-by-step guided walkthrough about how to set up your first website is here. A note: This post contains affiliate links. If you decide to sign up to SiteGround using my affiliate link I would really appreciate it. Using my affiliate link is at no cost to you and I receive a flat fee commission that helps with the running costs of this blog. First things first – let’s start with the basics. A website is really anything you can visit online which allows you to view content. If you’re using the internet to access it – it’s a website. A blog is a type of website, one that is created to manage regular posts with simple content. These posts are usually displayed in reverse chronological order, with the newest content at the top of the page. Blogs are often managed with a content management system (CMS) which is a set of tools and code designed to allow you to easily upload and edit your online content. WordPress, Wix, Weebly (why do they all begin with W? ), Joomla, Drupal and Tumblr are examples of various CMS that can be used to build websites. I’m a big fan of WordPress for various reasons – it’s free, it’s open source and it powers almost 20 million websites which include the likes of Time, BBC America, People, Vogue UK, The New Yorker and more. I think it’s safe to say that it’s good no matter how big or small you intend your audience to be. WordPress.com is a mostly-free option for starting a blog, but there are a few things to know. For a start, your website will appear as blog.wordpress.com in the address bar (unless you pay to use your own domain name). WordPress does all the work maintaining the website so they display a powered by WordPress logo and are allowed to place ads on your site (unless you pay a fee to keep your site ad free). Overall, it’s much less customisable, but perfectly fine if you are just blogging for family or friends. It’s also a good option if you’re just testing the waters in the blogging space. WordPress.org also known as self-hosted WordPress, allows you to use the WordPress open source platform to build your own website. Using WordPress.org is free, but you have to pay for your own domain name and hosting provider. With this option though, you have full control over your content and how it looks, plus you can customise and monetise it as you wish. By my rough estimations, the cost for WordPress.com is $48 a year (this estimates the most basic paid options like custom domain name and removal of advertising) while WordPress.org is between $48-$65 a year depending on which providers you use. The single biggest piece of advice I wish someone had given me six years ago was to build a self-hosted blog. 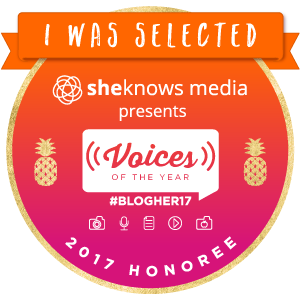 At the time, I wanted to spend as little money as possible, so I opted for WordPress.com. 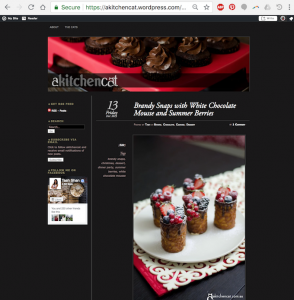 As I tried to customise my blog, I started utilising more and more paid WordPress.com services. For instance, I wanted to have a domain name, I didn’t want unethical ads (those darn puppy farms) and I wanted more customisable design. Over a long period of 18 months, tweaking WordPress settings that only offered very basic customisations, I finally realised that moving to self-hosted was the way to go. It was a ton of work – I had to migrate all my content, learn a bunch of techie internet stuff, but I finally got my blog to look the way I want. Just take a look at my old WordPress.com site vs my current WordPress.org site – isn’t the new one so much better? There are two pieces to a website – a domain name and a hosting provider (assuming you are going down the WordPress.org / self-hosted route). A hosting provider is a company that hosts all the files that make up your website on their servers. These servers are where the content of your blog lives. The quality of your hosting can determine how quickly your website loads, reliability of website access i.e. if their servers go down, your website does too. There are a few things I’ve learnt after the basic research – GoDaddy is not recommended (just Google their reviews). 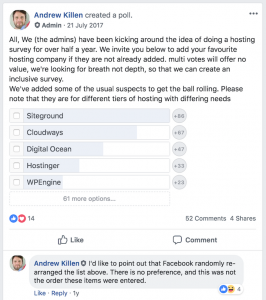 It is also best practice not to purchase your domain name and hosting from the same provider – not many websites tell you this, but it’s true. It is simply more secure (i.e. if your server gets hacked, at least you’ll still have access to either one – a much easier fix). There are other reasons, such as if you ever need to move hosting providers, it’s generally easier if your domain name stays put while you move hosting providers. Registering a domain name will require personal information such as your name, address, email address, and contact phone number. This information is stored on a whois database and can be displayed when people search for your domain name. Privacy/ID Protection (usually charged as extra) can help protect your identity and mitigate the risk of being spammed by malicious scammers who regularly search whois databases. The down side, many domain name providers charge for this service. If you are registering a .com.au you do not need to pay for privacy or ID protection. Australian law does not allow ID protection on .au domain names, but rest assured that a whois search does not display your phone or contact details. 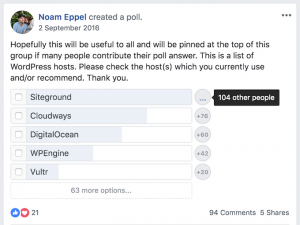 The next biggest question is which hosting provider to go with. I tend to think of a hosting provider as somewhere where your blog lives, and you know what they say about buying the worst house on the best street? The quality of your hosting provider will determine how fast your website loads, how quickly your support queries get answered and if/when there are any downtimes. I started off with Hostgator but found that their servers weren’t quite good enough. According to recent surveys, 47 percent of web users expect a site to load in 2 seconds or less, and they tend to abandon a site that isn’t loaded within 3 seconds. At its worst, this website was taking a whopping 6.90 seconds to load on HostGator. I switched to SiteGround and my page load time dropped to 3.69 seconds. It is down to 2.05 seconds now which is pretty good considering the number of images on this blog. If you are moving hosting providers rather than building a blog from scratch, SiteGround has a free WordPress migrator tool which helps you move hosting providers, or they’ll move your website for free on their mid-tier plans. You can read more about that works here. A quick note that I don’t really recommend HostGator or BlueHost based on the reviews I’ve read. I’ve used HostGator and while it was fine, my load times were pretty rubbish. I have never used BlueHost but have read some not very complimentary things, so they were discounted pretty much off the bat. I just feel the need to mention them because they are definitely cheaper, so they may be the right option for you – everyone has different requirements. 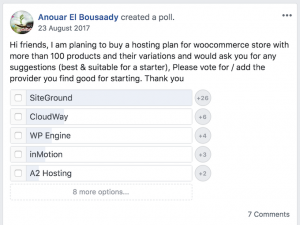 It’s worth noting that BlueHost pays the highest commissions to affiliates, so if you are going with them, do as much research as you can – especially if you intend on signing up for a long period. *To get the advertised price on HostGator and BlueHost, both require you to prepay for a minimum 36 month period. On the Basic plan, this makes the cost for 12 months $71.40 on HostGator/BlueHost and $47.40 on SiteGround. For 24 months, the cost is $85.92 on HostGator, $118.80 on BlueHost and $94.80 on SiteGround. 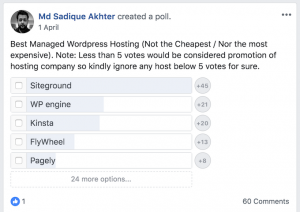 In my opinion, the lowest cost option is SiteGround StartUp for a year; the cheapest total cost option is HostGator Hatchling for 3 years; and the best value option is SiteGround StartUp for 3 years. BlueHost and HostGator are a little cheeky with adding extras to your final tab, so make sure to check your itemised total. HostGator and BlueHost display their prices in USD; SiteGround displays in AUD if you’re in Australia or in USD if you’re not. SiteGround allows you to view the monthly price including or excluding the 10% GST – their USD to AUD conversion includes GST (i.e. you don’t pay 10% on top of the converted rate). All three hosting providers provide free SSL certificates, which is great. Sites without SSL certificates are marked ‘not secure’ by Google. Remember how frustrating it is to lose a document that you forgot to save. Times that by a couple hundred thousand if you ever somehow lose your website – even if its through no fault of your own. Customers with critical business information or important data are STRONGLY encouraged to seek a third party backup service such as CodeGuard to protect against any unforeseen circumstances. Such services provide a more fine-grained control over backup and restore operations, allowing the service to be tailored to specific requirements. Bluehost does not offer redundant or mirrored backups. Bluehost will run courtesy backups at our discretion. Any backups that Bluehost runs are in addition to our Terms of Service and are not guaranteed. Customers are encouraged to run periodic backups through the provided cPanel. Bluehost recommends that you store such backups off site on your local system. Backups are kept for a maximum of 30 days. Backups older than 30 days will be overwritten with a newer backup, and it is the customer’s responsibility to download a backup before it is overwritten if the customer wishes to keep that copy of their data. Note: BlueHost.com assumes no responsibility for failed backups, lost data, or data integrity. BlueHost.com is unable to create automatic backups for sites above 30 gigabytes in size. You may create your own copies using SSH/Shell Access. Backups may be permanently deleted if payment fails on your account and the account is expired. It is the sole responsibility of the customer to make and keep copies of their data, and Bluehost will not attempt to keep data (including backups) of accounts that have been expired or deleted. SiteGround keeps backups of customers’ Shared and Cloud hosting accounts for a period of up to 30 and 7 days accordingly. Clients who have the SiteGround Backup Service enabled can restore backups themselves from cPanel -> Backup Tool. Using our tool, all files/folders, MySQL databases and Emails might be restored to their previous state. Guess you can see why I switched? There are a few other things you may need in addition to the essential two. 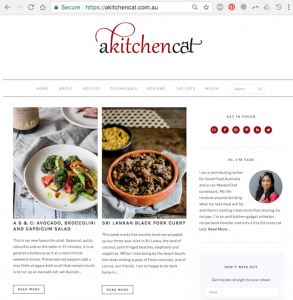 I purchased a theme from Feast Design Co but it’s worth noting that there are many great free WordPress themes out there. I personally would advise against buying a theme until you are very sure of the look and feel you want to achieve – many can be done with freebies that are available to download. That said, Foodie Pro is so easy to use and saved me so much time – well worth what I paid for it. The best part of Foodie actually came a few months after I bought it – the company gave everyone an update to Foodie Pro at no cost. It’s a big part of why I’ve stuck with these guys. If you have any questions, drop them below. I can only promise to help to the best of my (limited) technical ability. I have used Bluehost for all my clients and sometimes they have been off line for long periods. What do you think of their service? I’m about to stage a test site on BlueHost and find out. They give really, really good commissions which is hard to ignore but I just can’t go past SiteGround’s customer service levels. SiteGround’s affiliate marketing support is crap though. But I’d rather people have a website with 99.9% uptime and I have to deal with grumpy marketing execs than they have website with unreliable uptimes.